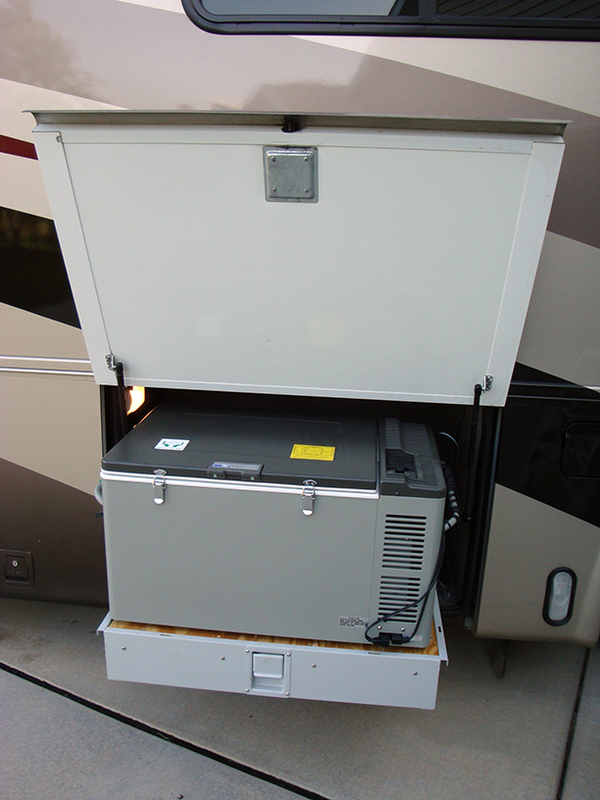 Almost as soon as we drove our “new” used Newmar motorhome off the dealer’s lot, we knew that our 10-year-old Dometic NDR1292 refrigerator needed fixing. The Dometic’s freezer barely kept ice cubes solid and the fridge was hovering around 40 degrees. When we returned home from buying the RV in July, we were able to rehab the Dometic fridge with a new cooling unit ($1100). 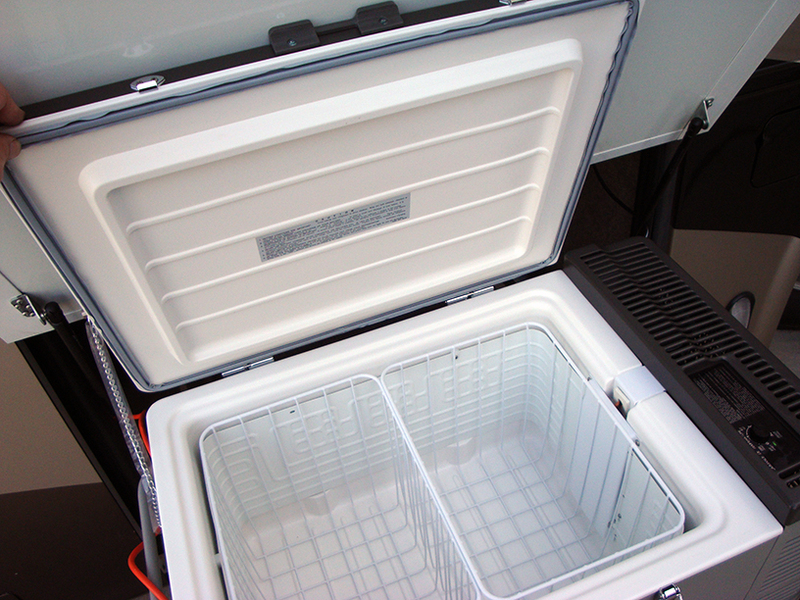 Though the repaired Dometic worked very well, I thought we needed a “Plan B” fridge in case the main refrigerator failed again, so I installed a 2.1 cubic foot Norcold MRFT60 refrigerator/freezer. The thermostat on the Norcold makes it into either a freezer or a fridge — not both. I don’t think this is a drawback, but just make sure to plan ahead how you’re going to use the Norcold — fridge or freezer. Though other Norcold products have been taking hits on quality and safety issues, the little MRFT60 has been great, and it gets down to temperature in a few hours. The Norcold installation itself went fairly smooth . . . a basement compartment in our Newmar was actually intended for this fridge, so there was adequate space. The Journeyman slide out tray under the Norcold took some investigation to locate, but found a company called Keyline Sales that sold the trays. 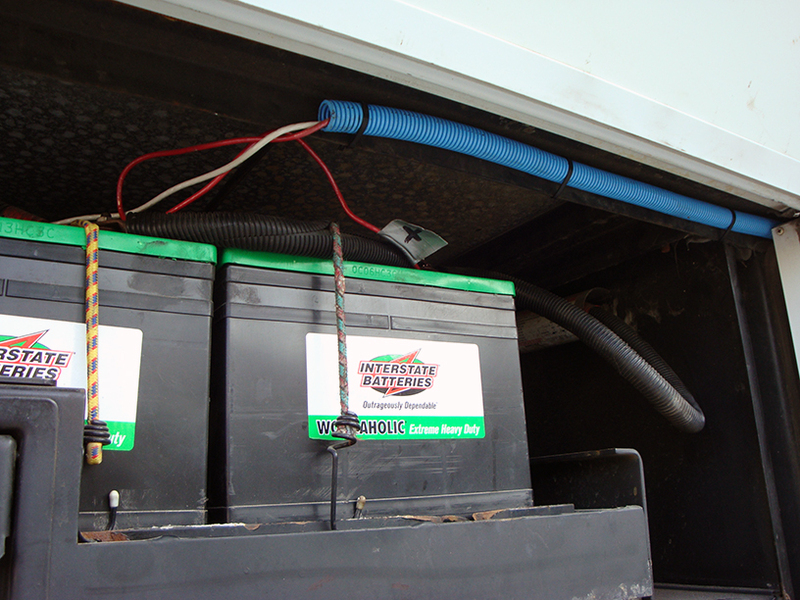 The most difficult part of the Norcold install was running 12V power to the fridge from the batteries. 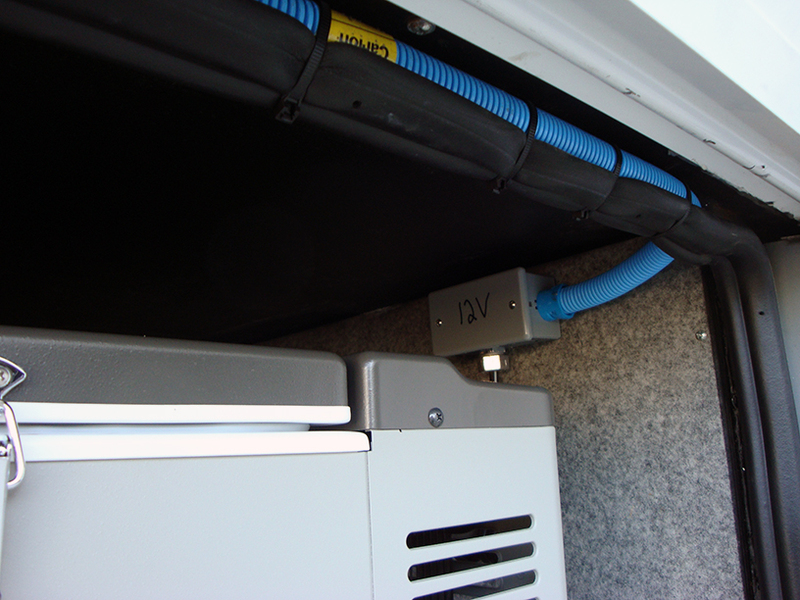 Though the fridge and batteries are on the same side of our Newmar, running wire is always problematic on an RV. You never know what you’ll “hit” (more on this later). However, I discovered that I was able to run the wires in a conduit that I wedged under the top of the basement compartment doors. This “channel” ran almost the complete distance from fridge to batteries. Can you tell me where you bought this unit. Mine quit and I can’t find a place to buy a new one. I don’t think Norcold makes them any longer. However, Dometic does.